Author: Clarkson, R.W., and R.J. Dreyer. 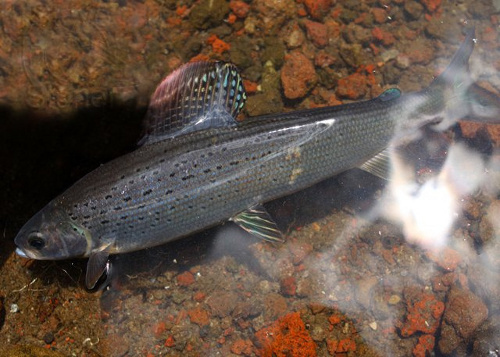 Title: Featured species fishery management in Arizona -- investigation of techniques to establish and maintain arctic grayling and apache trout lake fisheries. Publisher: Arizona Game and Fish Department Research Branch.